We offer engaging and dynamic learning experiences outside the classroom. We believe learning happens at all ages and in a variety of ways. We aim to be both a collaborator and dynamic resource for your students’ learning. We value students abilities and individual strengths and endeavour to challenge every student, providing them with authentic contexts for the learning. We focus on real-world skills and tasks, allowing students to build their communication, research, problem solving and critical thinking skills. 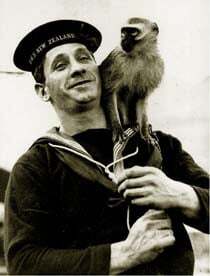 At the Navy Museum we have programmes that look at important aspects of naval practices, naval history and New Zealand’s social history, with each programme taking a cross-curricular approach to learning.